Many people refer to a provisional application as a patent pending application. However once filed, any patent application, whether it be provisional or non-provisional, is patent pending. Patent Pending simply means that a patent application has been filed with the United States Patent Office (USPTO). Since 1995 the USPTO has allowed inventors to file a complete or non-provisional application or an incomplete or provisional application. The incomplete or provisional application provides a lower initial cost and to gives patent applicants priority based on their application filing date. A provisional application is an official application which is not required to have a claim or be accompanied by an inventor’s oath or declaration. 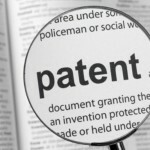 A provisional application provides an earlier priority date for a later filed non-provisional patent application and allows the inventor to use the phrase “Patent Pending” in connection with the description of the invention covered by the application. However, a provisional application only lasts for 12 months from the filing date of the application. The application can not be extended and the inventor must file a corresponding non-provisional application within 12-months from the filing date of the provisional application in order to receive the benefit of the earlier filing date. In some situations, an abandoned provisional application may be revived if a proper petition is filed within two-months of the date of abandonment along with the non-provisional or complete application. To avoid any potential loss of rights, you should not delay in filing the complete application and should begin to prepare to file the application well in advance of the 12-month deadline. If you are interested in filing a provisional application, it is highly recommended that you consult with one of our experienced patent attorneys to prepare a provisional patent application.